Gurpreet was mowed down by the enraged power-drunk lawyer who ran his car over the young man’s body. Should we silently ignore this case watching the humanity inside each of us dead or should we raise our VOICE! Time to Act Now! SIGN THIS PETITION!!! Can you help me out by signing this petition? Humanity is Dead in this City! This is what people tell us about Delhi. 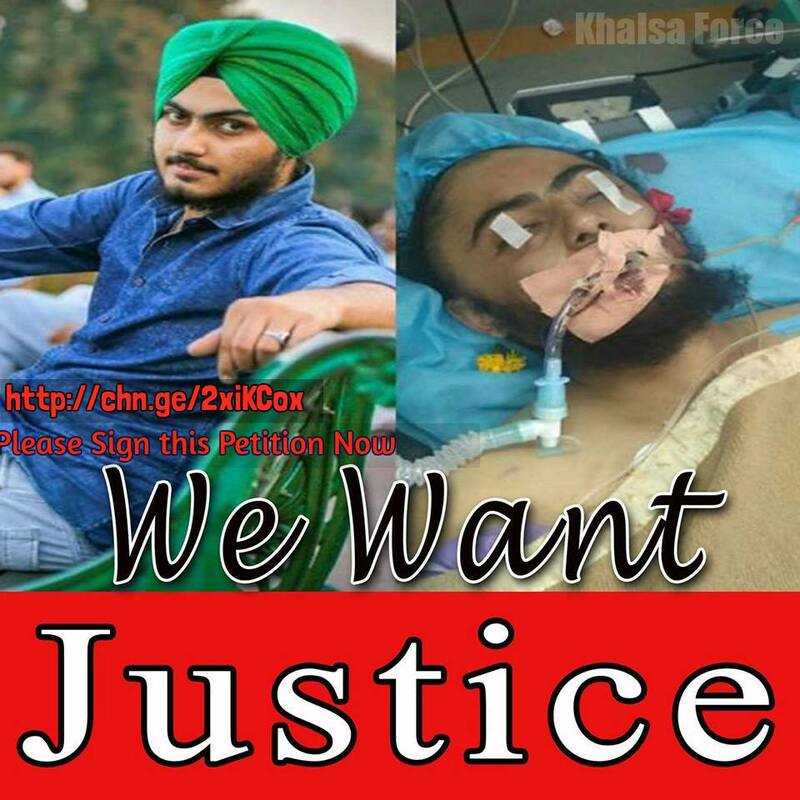 This Sunday on 17 Sept 2017, a 21 yr old Photography student Gurpreet Singh was brutally killed by a drunk Lawyer Rohit Krishna Mahanta just because Gurpreet had the guts to ask him not to smoke in public and not to blow the smoke on his face. Gurpreet was mowed down by the enraged power-drunk lawyer who ran his car over the young man’s body. And a Lawyer is supposed to be an Officer of the Court! The SHO of the Police station kept on covering the facts and passed this off as an accident. S. Manjit Singh GK, President, DSGMC (Delhi Sikh Gurdwara Management Committee) highlighted this issue in the media and met Police Seniors to get a proper FIR registered. Gurpreet succumbed to his injuries on Wednesday 20 Sept 2017 and the lawyer was arrested only after the death. 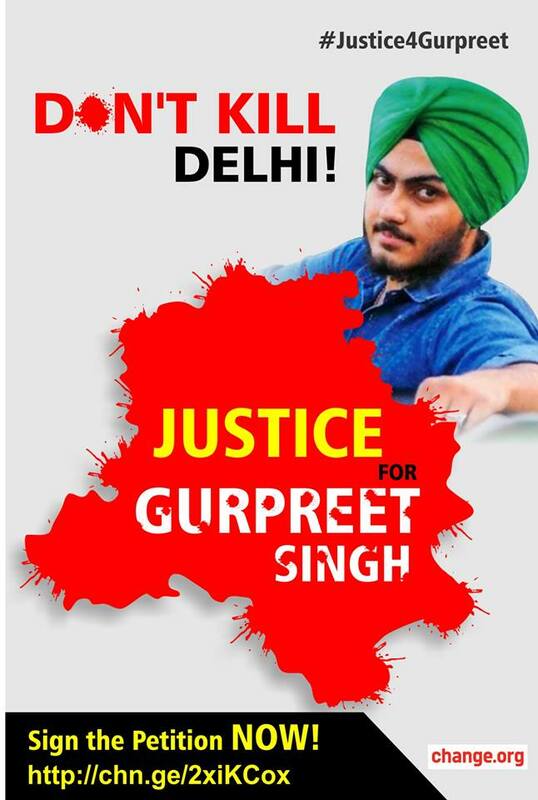 Should we silently and passively watch humanity die around us or should we raise our voice to demand #Justice4Gurpreet ? Please Sign this Petition Now to demand action against the erring Policemen and the accused Lawyer! How To Sign Petition :- August 15th is NOT Independence Day For Sikhs. SUPPORT the Liberation of Indian Occupied Punjab to Create “KHALISTAN”. Petition To U.K. Govt. | Sikh’s are Not as Hindu | Which labels in CONDEMN Art 25(b) Sikhs as Hindus. 10,000 Signatures Required.